After a phase of high capital expenditures, WACKER entered a new stage in its strategic alignment last year. This stage is marked by high liquidity, by capital expenditures below depreciation and by low net financial debt. As a result, we are enhancing the company’s financial strength and establishing a basis for increasing investment in research and development, and in the fields of the future. Our focus is on new technologies, such as electromobility and promising biotech business. At the same time, we are pushing the digitalization of our business processes to expand our customer relationships and possibly to develop new business models. WACKER’s success lies in the fact that we have generated strong organic growth over the past few years with products that are recognized for their high quality. We continue to see major opportunities and potential for achieving further organic growth. Consequently, we have no reason to undertake any major acquisitions, even though our financial position is very good. Our priority is to optimally use the growth potential of our attractive product portfolio. We have paved the way for this by enhancing our global position in recent years. By selling our majority stake in Siltronic AG to institutional investors in March 2017, we have realigned the WACKER Group. Through this transaction, we have achieved our strategic goal of giving Siltronic its independence. WACKER’s position has become less capital intensive and less volatile as a result. Our focus is now on our applications expertise in chemicals and on strengthening the related supply chains. The transaction of March 15 was also a turning point for Siltronic. The company is now making its own way after 50 years as part of the WACKER Group. Our remaining stake of just over 30 percent in Siltronic underscores our confidence in the company’s promising business prospects. Fiscal 2017 was a good year for WACKER, a fact that is reflected in a higher dividend. WACKER’s employees played a major part in this success. The Supervisory Board of Wacker Chemie AG thanks them for all their achievements and high level of commitment. At WACKER, sound corporate governance and control are built on a relationship of trust between the Executive Board and Supervisory Board as they work closely together in the company’s interest. In 2017, the Supervisory Board performed – with great diligence – the duties incumbent upon it under law, the Articles of Association and its own Rules of Procedure. The Supervisory Board was involved at an early stage in every decision of fundamental significance for the company. In both written and oral reports, the Executive Board regularly provided us with timely and comprehensive information on corporate planning, strategic development, business operations, and the current state of Wacker Chemie AG and the Group, including the risk situation and compliance issues. Outside of the scheduled Supervisory Board meetings, the Chairman of the Supervisory Board also remained in close contact with the Executive Board, especially with the CEO, and was kept informed of the business situation, current trends and key business transactions. Any deviations from business plans and targets were explained to the Supervisory Board in detail. Wherever required by statutory provisions or the Articles of Association, the Supervisory Board voted on the reports and proposals of the Executive Board after detailed examination and discussion. In the reporting year, we paid particularly close attention to investment projects, the current earnings situation, including the risk position and risk management, as well as the company’s liquidity and financial position. The Supervisory Board held four ordinary meetings in 2017, two in the first half of the year and two in the second. Between meetings, the Executive Board informed us in detail by means of written reports about all projects and plans of particular importance to the Group. At its full meetings and in its committees, the Supervisory Board discussed in detail, on the basis of the reports submitted by the Executive Board, business transactions of importance to the company. The full meetings were prepared by shareholder and employee representatives in their own separate sessions. All members of the Supervisory Board were present at all of its meetings, and all committee members attended all of their respective committee meetings. The development of sales, earnings and employment at the Group and its individual segments were the subject of regular deliberations in the full meetings. At each meeting, the Supervisory Board evaluated the Executive Board’s performance – on the basis of Executive Board reports – and discussed strategic development opportunities and other key topics with the Executive Board. There was no need for additional monitoring measures, such as the inspection of corporate documents or the appointment of experts. The Supervisory Board discussed the WACKER Group’s plans for 2018 at its meeting of December 7, 2017. On that occasion, the Supervisory Board also dealt with medium-term corporate plans for the period 2018 – 2022. In addition, it discussed and approved the capital-expenditure budget for 2018. The Supervisory Board is assisted in its work by the committees it has constituted. WACKER’s Supervisory Board has created three committees – an Audit Committee, an Executive Committee, and a Mediation Committee (the latter in accordance with Section 27 (3) of the German Co-Determination Act (MitbestG)). 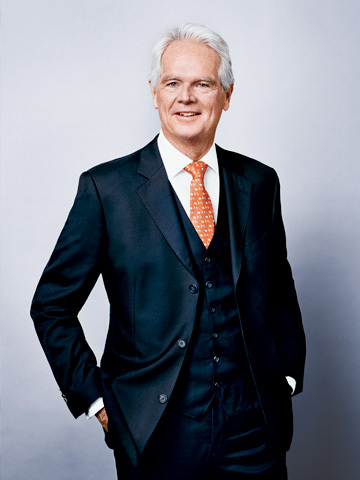 With the exception of the Audit Committee, which is chaired by Franz-Josef Kortüm, Dr. Peter-Alexander Wacker, the Chairman of the Supervisory Board, chairs the committees. The Audit Committee met four times last year. Its work included the audit of the annual financial statements of Wacker Chemie AG and the Group for 2016 and of the consolidated interim financial statements for the first half-year. It also discussed the Group’s quarterly financial figures and issues relating to risk management, compliance and auditing. The committee monitored the independence of the auditors and also discussed the additional services they had provided. At the end of 2016, the Audit Committee had submitted a recommendation to the Supervisory Board for the latter’s proposal at the Annual Shareholders’ Meeting for appointment of the auditors for 2017. It subsequently awarded the auditing contract for 2017 and determined the focus of auditing. The Executive Committee met four times in 2017, discussing personnel matters in relation to the Executive Board (e. g. determining overall compensation, setting the performance goals for variable compensation, and preparing a recommendation to the Supervisory Board regarding renewal of the contracts of Dr. Staudigl and Dr. Hartel). The Mediation Committee did not need to be convened last year. The Supervisory Board was regularly informed about the committees’ work. Last year, the Supervisory Board again looked closely at corporate-governance standards. At its meeting of December 7, 2017, the Supervisory Board discussed application of the German Corporate Governance Code and adopted the annual Declaration of Conformity that must be submitted jointly by the Executive and Supervisory Boards in accordance with Section 161 of the German Stock Corporation Act (AktG). Shareholders can access the Declaration on the company’s website. In its Corporate Governance Report, the Executive Board provides details – also on behalf of the Supervisory Board – of corporate governance at WACKER in accordance with Item 3.10 of the German Corporate Governance Code. At its meeting in December 2017, the Supervisory Board also discussed the efficiency of its activities and found that it works efficiently – one reason being the regular preliminary discussions regarding the Supervisory Board meetings. KPMG AG Wirtschaftsprüfungsgesellschaft, Munich, audited the annual financial statements of Wacker Chemie AG for 2017, the consolidated financial statements and the combined management report (as of Dec. 31, 2017), as prepared by the Executive Board, including the relevant accounts. The Supervisory Board’s Audit Committee had awarded the auditing contract in accordance with the resolution of the Annual Shareholders’ Meeting of May 19, 2017. The auditors issued an unqualified audit report. The auditors also examined the risk management system in accordance with Section 91 of the German Stock Corporation Act (AktG). The audit verified that the risk management system and internal control system meet the legal requirements. No risks endangering the continued existence of the company were identified. The auditors also carried out a voluntary review of the combined non-financial report for Wacker Chemie AG and the Group. Their review confirmed that this report, too, meets the legal requirements. The financial-statement documents (including the auditors’ reports, the combined management report and the Executive Board’s proposal for the distribution of profits) were submitted to all the Supervisory Board members in good time. At its meeting of February 26, 2018, the Audit Committee examined and discussed in detail the above-mentioned financial statements, the combined management report, the combined non-financial report for Wacker Chemie AG and the Group (as per Sections 289b and 315b of the German Commercial Code ( HGB)) as well as the auditors’ reports. At its meeting of March 6, 2018, the full Supervisory Board closely examined and discussed the relevant annual accounting documents – including the combined non-financial report for Wacker Chemie AG and the Group – with knowledge and in consideration of both the report of the Audit Committee and the auditors’ reports. The auditors took part in the deliberations at both meetings. They reported on the main results of the audit – in particular the key audit matters described in the auditors’ report – and were available to answer questions and provide supplementary information. After concluding our own examination, we have no objections to raise to the annual financial statements of Wacker Chemie AG, the consolidated financial statements, the combined management report, the combined non-financial report for Wacker Chemie AG and the Group, or the auditors’ reports. We therefore approve the annual financial statements of Wacker Chemie AG and the consolidated financial statements as of December 31, 2017 as prepared by the Executive Board. The annual financial statements of Wacker Chemie AG are hereby adopted. We concur with the Executive Board’s proposal for the distribution of retained profit. As a result of the deconsolidation of Siltronic AG on March 15, 2017, Hansgeorg Schuster – an employee representative on the Supervisory Board and an employee of Siltronic AG – stepped down from the Supervisory Board at the end of March 14, 2017. We thank him for his work on the Board and wish him all the best for the future. At the Executive Board’s request, Barbara Keller was appointed to the Supervisory Board as an employee representative by order of the District Court of Munich on April 24, 2017. At its meeting of December 7, 2017, the Supervisory Board renewed the contracts of president and CEO Dr. Rudolf Staudigl and Executive Board member Dr. Christian Hartel. At Dr. Staudigl’s request, the Supervisory Board renewed his current contract, which runs until September 30, 2018, for a further three years only (until September 30, 2021). Dr. Hartel’s contract, which runs until October 31, 2018, was renewed for a further five years until October 31, 2023. The Supervisory Board expresses its thanks to the Executive Board and to the company’s employees and employee representatives. Their good work and dedication helped Wacker Chemie AG have another successful year.